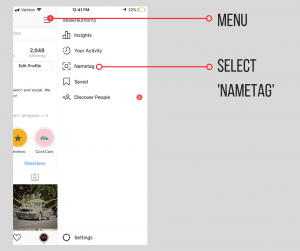 Have you heard about Instagram’s recent release of the Nametag Tool? This new option is a close cousin to the QR code but was specifically created for Instagram. 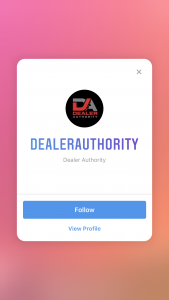 If you have been looking for a quick and easy way to build up your Instagram following, the Nametag Tool is one way to do it. 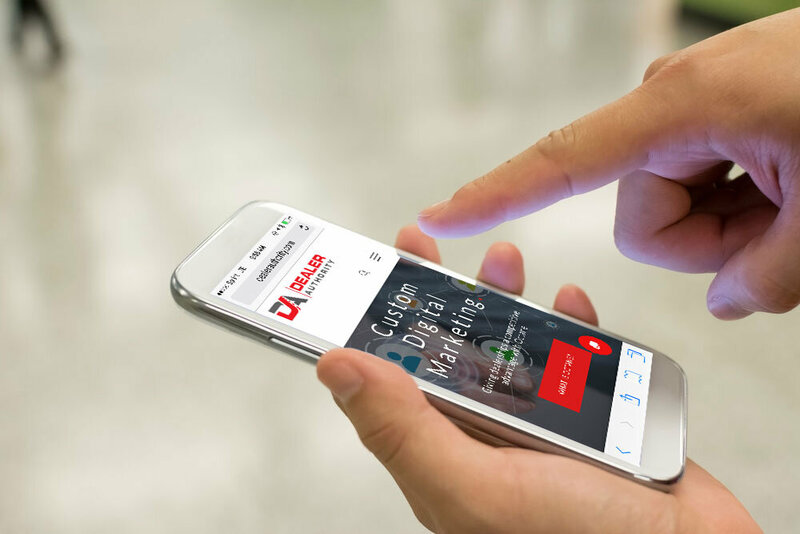 With a simple scan from their smartphone, your customers will instantly land on your profile. Here’s a quick how-to on how to start utilizing your profile’s Nametag. Navigate to the ‘Menu’ option on your profile and then select ‘Nametag’. As soon as you open Nametag, the ‘color’ option is already selected for you. Tap anywhere within the screen and you can scan through the color options. 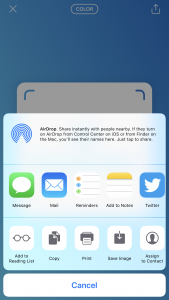 Tap ‘color’ and the ’emoji’ option will populate, followed by the ‘selfie’ option. Tap anywhere within the screen to swap out different emojis and selfie filters. For businesses, try to shy away from the oh, so tempting ‘selfie’ option unless it makes sense for your brand. 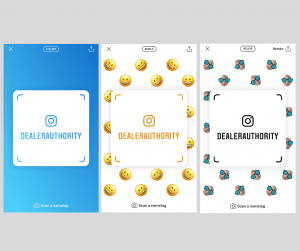 Everyone loves a good selfie, but if you want to be an expert in your field, and selfies have nothing to do with your brand, maybe opt for the color or emoji option. Select the art that is going to reflect your messaging and your business. Save the selfie for your personal Nametag. If you want to see how the Nametag tool works from the user end, select ‘Scan a nametag’ on the bottom of the screen and try scanning our Nametag above. Once the scan is complete this (shown above) will populate and you can choose to ‘Follow’ or ‘View Profile’. Export your Nametag to use in your marketing. Select the ‘export’ button in the top right-hand corner. Once you do that you can email, text, or save it to use in your business’ marketing materials. Your dealership’s Nametag would be perfect to have on a poster in your showroom. While a new client is waiting to finish their sale, show them how to use the Nametag scanner. 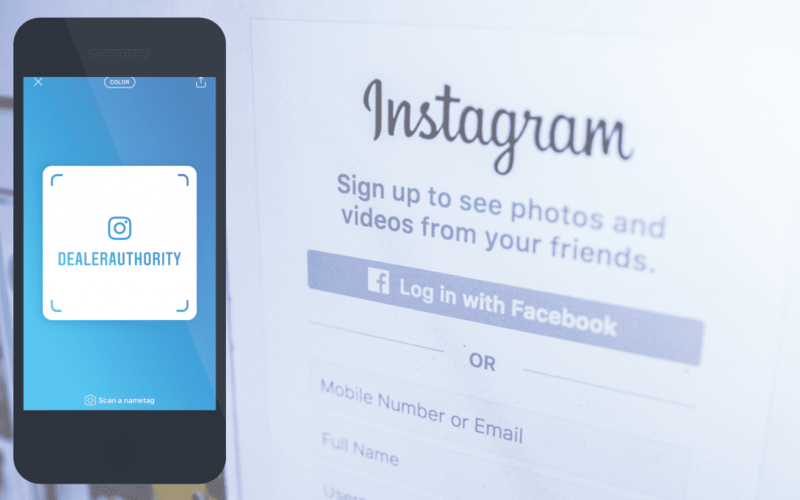 You will look like a social media expert as you teach your customer a new tool and you’ll gain a new Instagram follower in the process.